Did you whinny like a horse when you read that title? If not, you should rent the movie - Young Frankenstein. It's a star-studded Mel Brooks classic where Cloris Leachman plays Frau Blucher. Every tiime someone mentions her name, some off-screen horses whinny. What does this have to do with Texas or birding you ask? Well, I'll tell you. The "Frau" part has to do with the fact that every town in Texas seems to have a German name or have been settled by Germans. You can get Weinerschnitzel just about as many places as you can get BBQ or Tacos down here. We thought that was weird. The "Blucher" part has to do with the little city park that we found in Corpus Christi that turned out to be the best, most concentrated birding of the entire trip. The park is about 2 blocks square - not even 2 acres in size but it sure packs in the birds. We headed to Corpus Christi on Tuesday in search of migrants. Corpus Christi is positioned right along the Gulf Coast and is the first bit of land that migrating birds hit when coming north from Mexico if they are using the Central Flyway route - similar to how they use Higbee Beach in Cape May as a stop after crossing the Delaware Bay (only bigger). We were not disappointed. We are here in the early part of migration, so we didn't get a ton of species but we did get our next target bird - Swainson's Warbler. 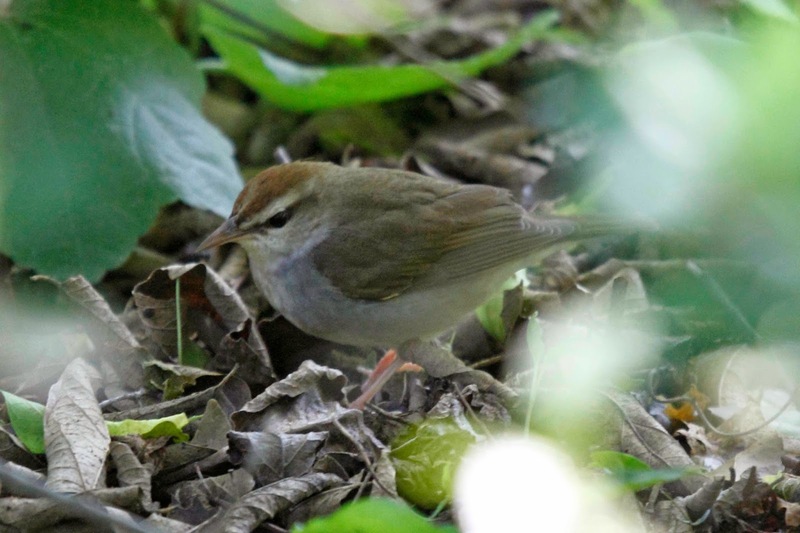 Swainson's Warbler is a secretive warbler that skulks around the forest floor and is only seen in the south. We met a local guy who told us where to look for them in the park and viola! I know its not much to look at, but it is one of those birds that is really hard to see and even harder to photograph. I had to set the camera to 1600 ISO just to get these shots. 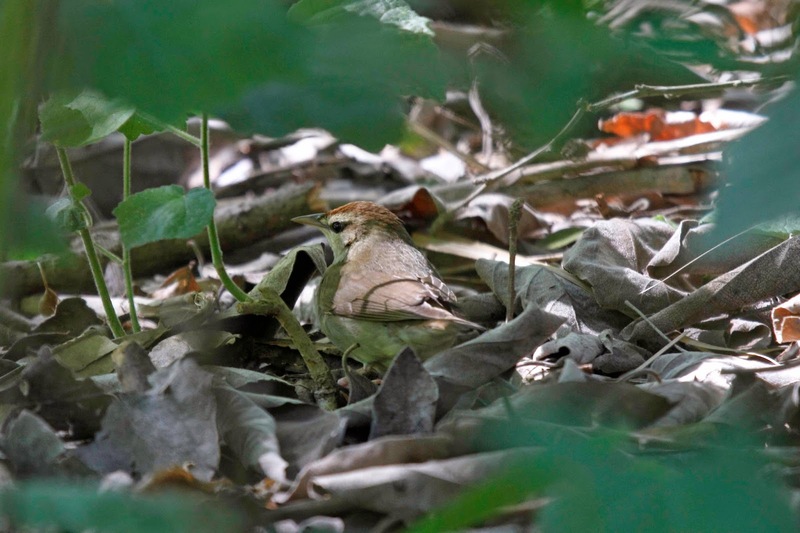 We also saw alot of other warblers but the big show for everyone were the Chuck-will-widows which were flying around our heads and perching in the trees. 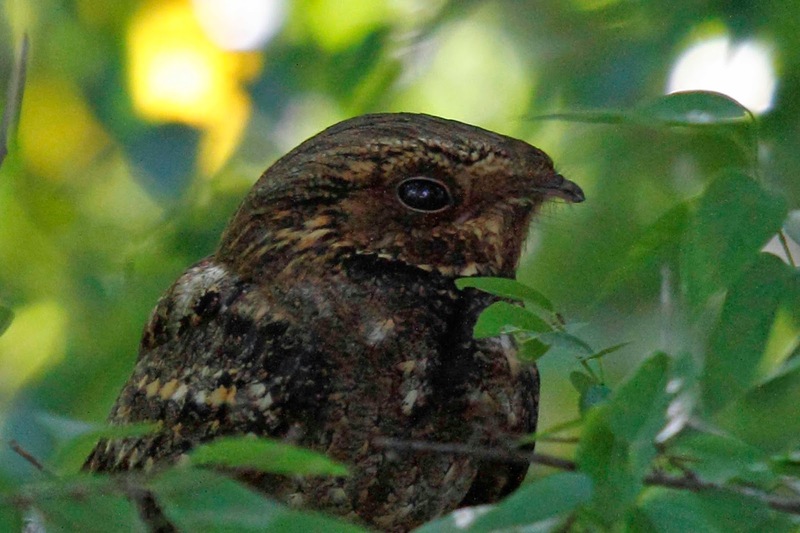 "Chucks" are nighjars which hunt at night and roost during the day. They are so well camouflaged that you rarely see one even if you walk right past one. 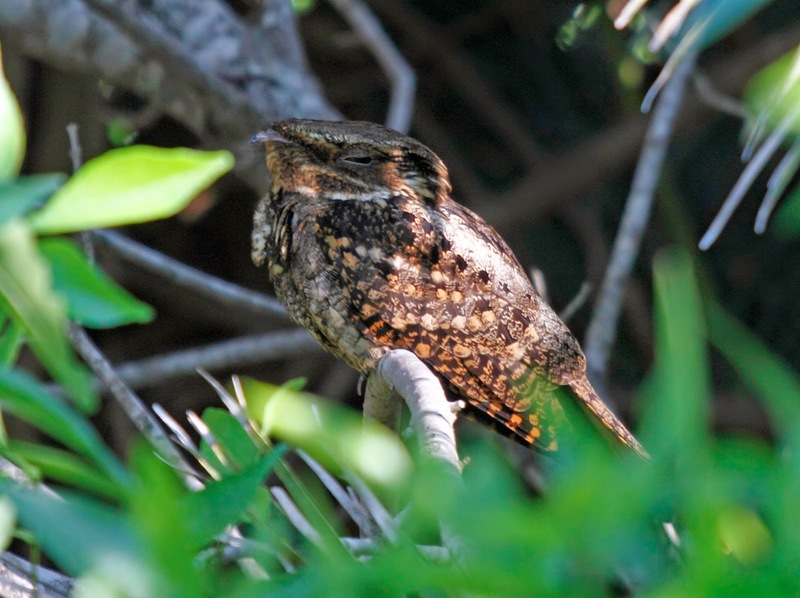 Di found this one perched in a Palmetto tree while we were looking for a different bird. They were being spooked by the birders (inadverdently) and would fly around the park at eye level. They have a huge wingspan (over 2 feet) and even brushed Tara and Barbara's heads with their wings as they flew past. They are quite agile for being such big birds. This one perched very close to me and watched as I walked past. You rarely get to see their eyes. 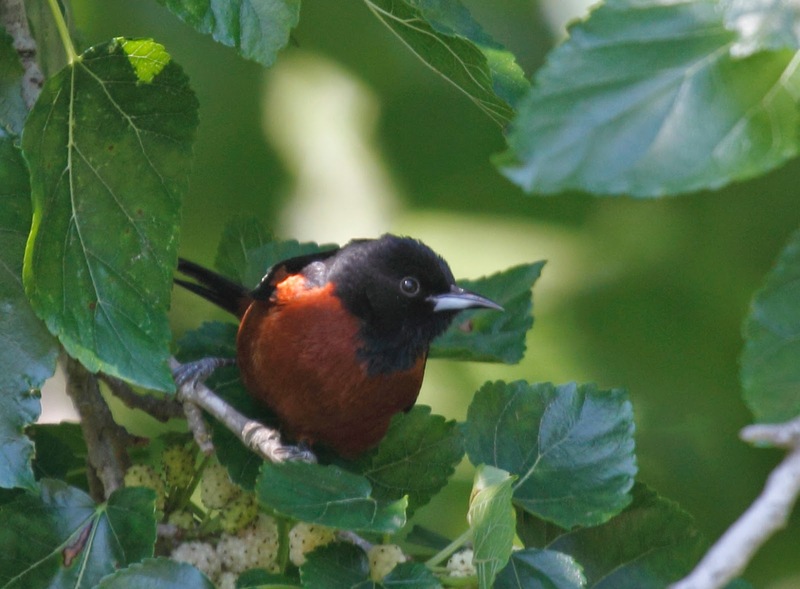 Many other birds were seen in the park. 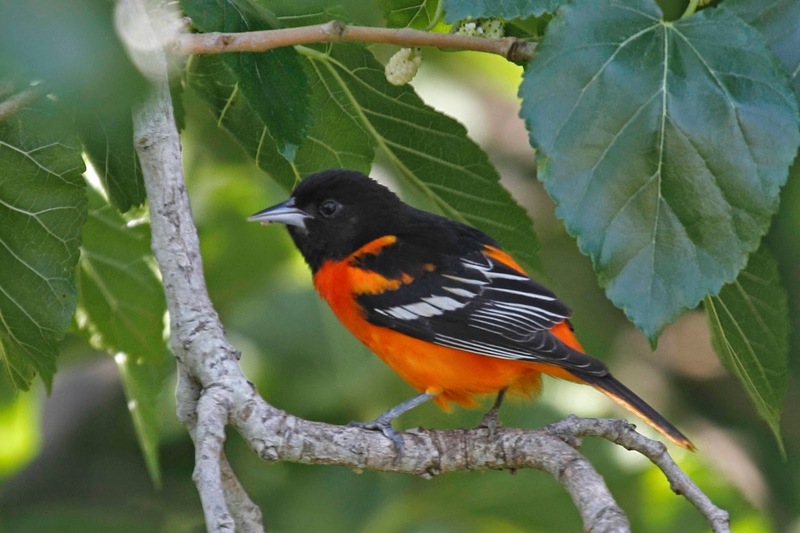 Some are common birds in our area such as these Orioles - Baltimore and Orchard. 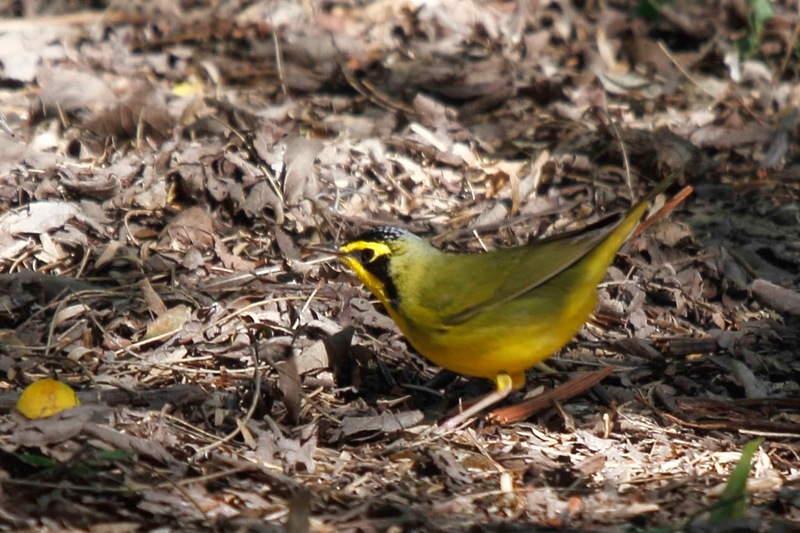 Another skulker - the Kentucky Warbler was seen well as it walked across the path in front of me. That doesn't happen in New Jersey. And then there were the exotic species that we don't get in our area. 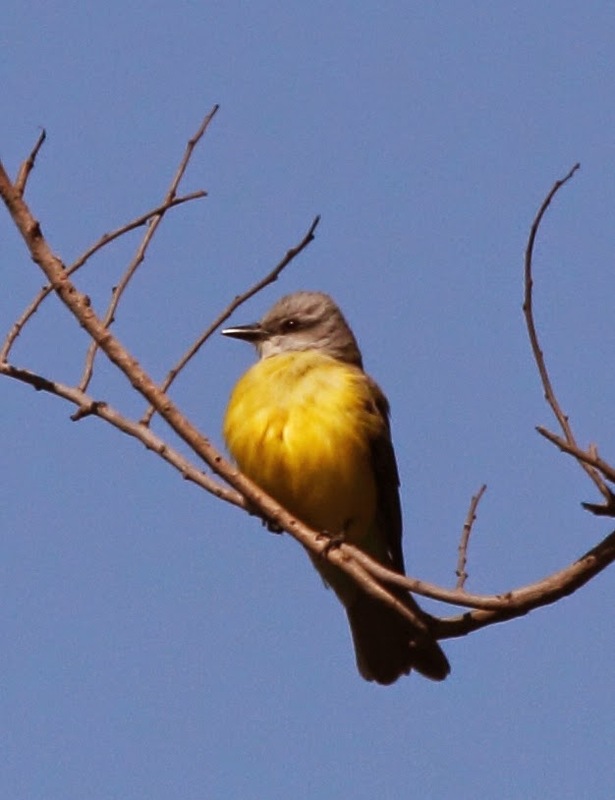 This is Couch's Kingbird. They are pretty big flycatchers which are native to the south. 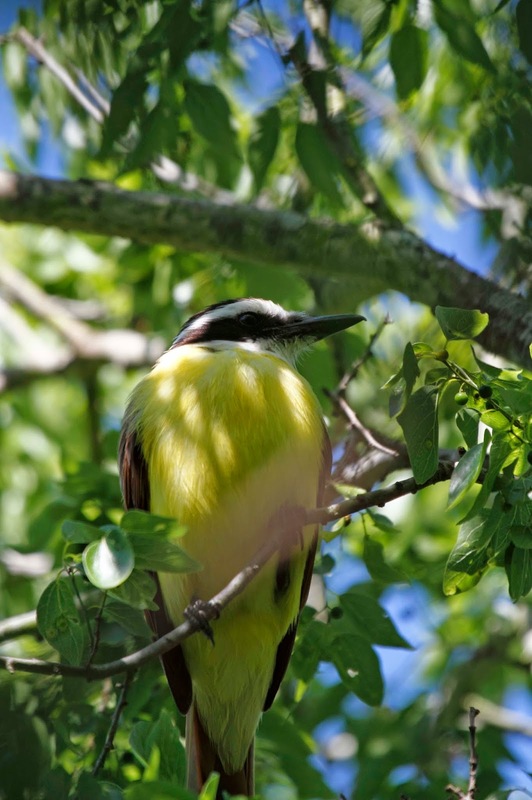 Another bird in that family is Great Kiskadee. This is a huge bird for a flycatcher. They have a distinctive pattern on their heads and are pretty loud. You can't miss it unless it wants to hide. This particular bird had a nest nearby but it put on a show for us anyway. 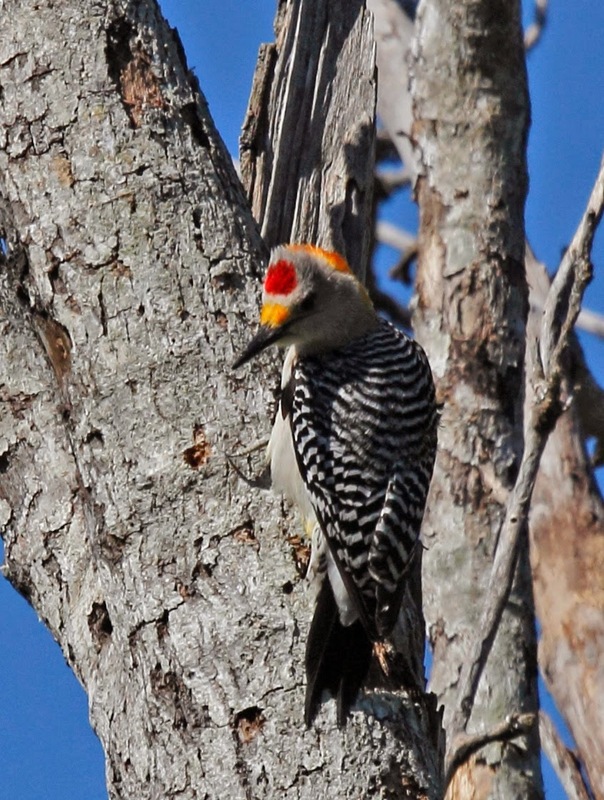 Another bird that nests at Blucher Park is this Golden-fronted Woodpecker. 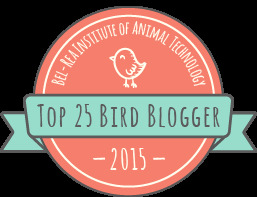 It is very similar to our Red-bellied Woodpecker except that it has gold where ours has red. Blucher Park was a hit but we decided to leave around 10:45 in order to see some other sites out along the coast. More about that later.